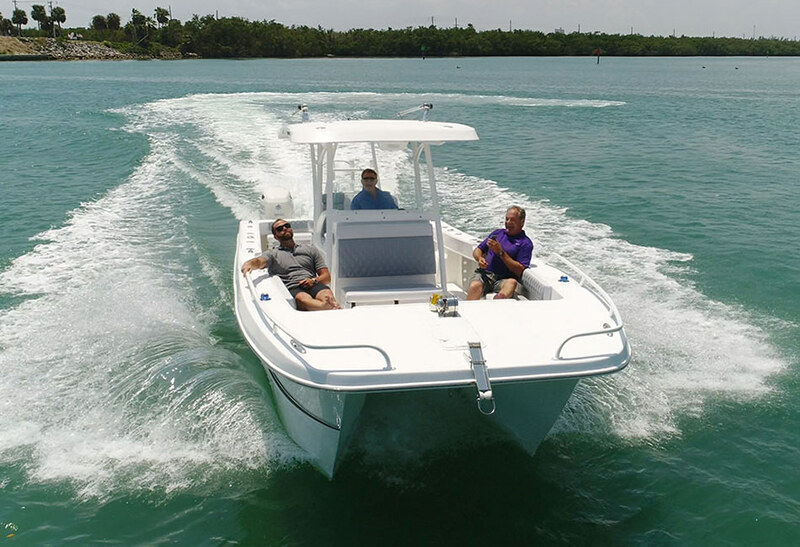 This brand new 31ft Twin Vee is available from January, 2019 and is the ultimate boat for fishing those far off banks around Grand Cayman. Available from January, 2019 this charter offers special days for clients who want to visit the offshore banks that are 60 miles from Cayman. These banks are created by underwater mountains that rise up from waters that are 8000 ft deep and come up to about 120ft under the surface. This creates an abundance of sea life with all main pelagic fish hanging around. The main speciality at these banks are the large Yellow Fin Tuna. Let this power cat bring you to the banks fast, dry and in comfort. 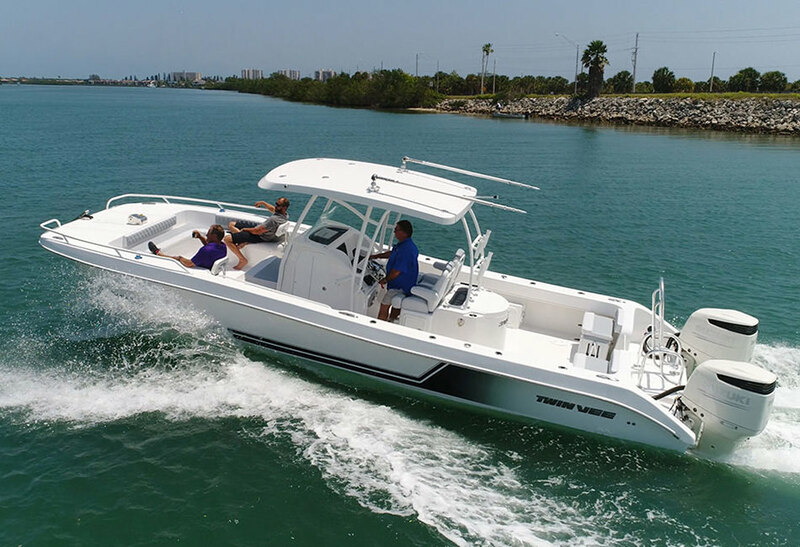 The versatile OceanCat 310 SE comes packed with many new standard features for 2019. 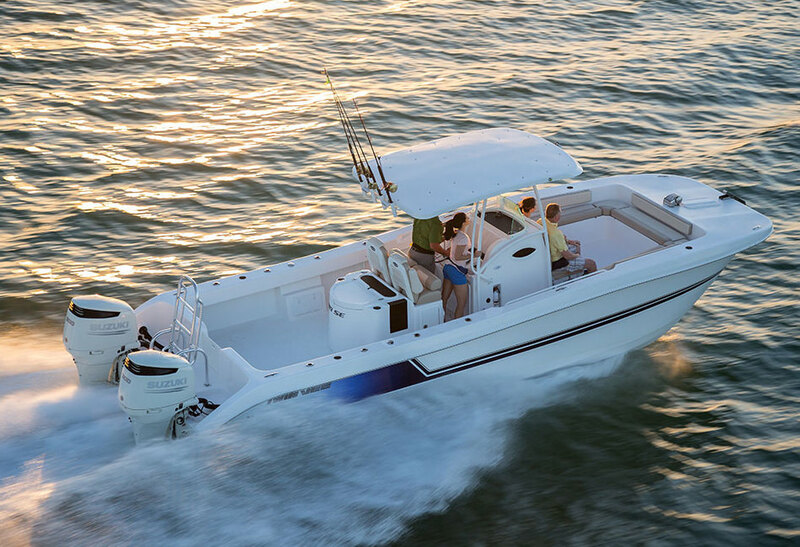 The bow platform doubles as a comfortable U-shaped salon with beautifully upholstered top-quality marine cushions. The helm now includes matching custom-designed Llebroc adjustable chairs. 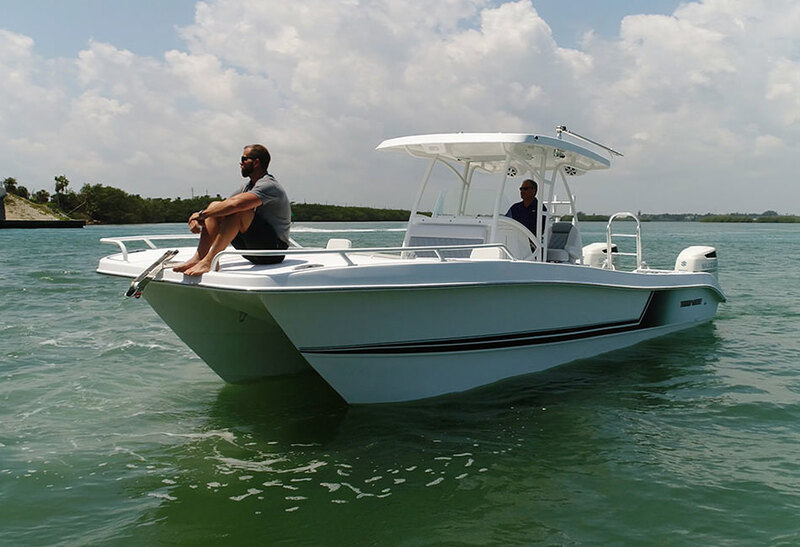 Under the OceanCat 310 SE’s anodized high-grade aluminum hardtop T-top, the console includes a Ritchie Voyager compass, a state-of-the-art electronics panel with USB and 6-volt charging ports, and a built-in weatherproof two-speaker audio system. 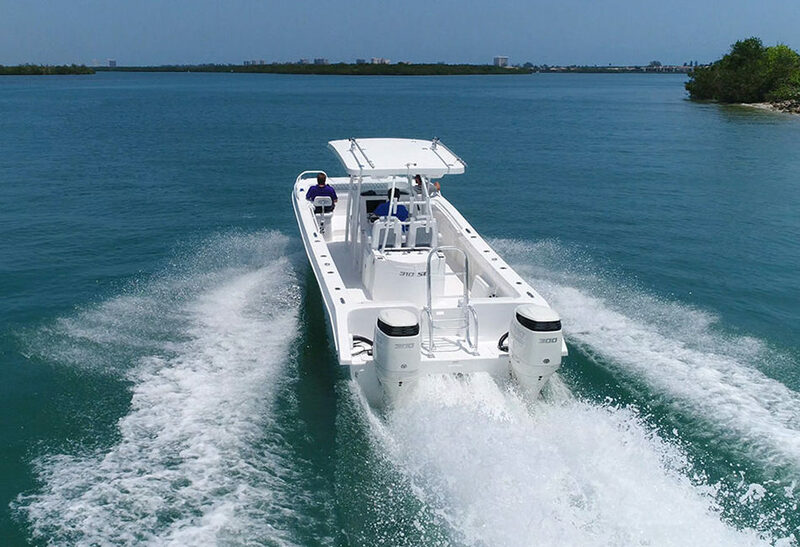 The redesigned fishing station incorporates a 50-gallon live bait well with a prep area featuring built-in quick-access tool storage and tackle drawers, inset cutting board and freshwater washdown. More added standard features include a dive ladder and under-gunnel rod holders. 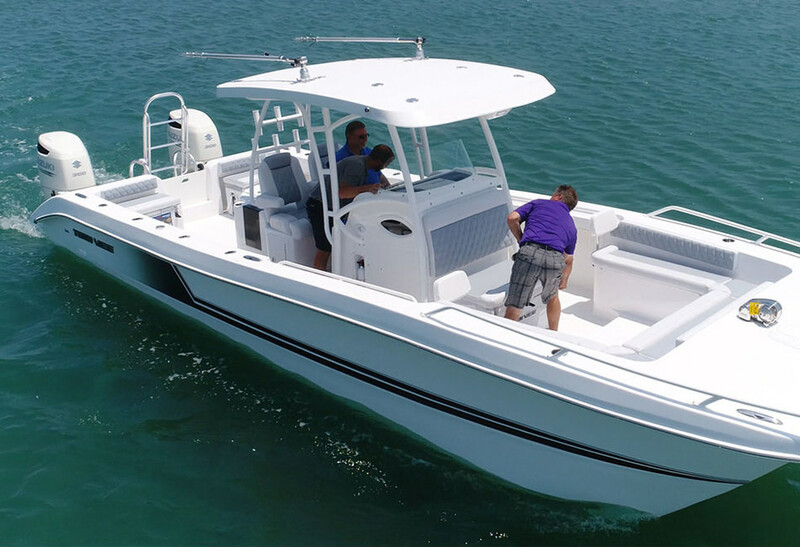 With all its new features, the OceanCat 310 is delivered ready to run, but further outfitting is a breeze with easy-access to console wiring, pre-installed rigging tubes for extra batteries and electronics, and a transducer hull-mount area.